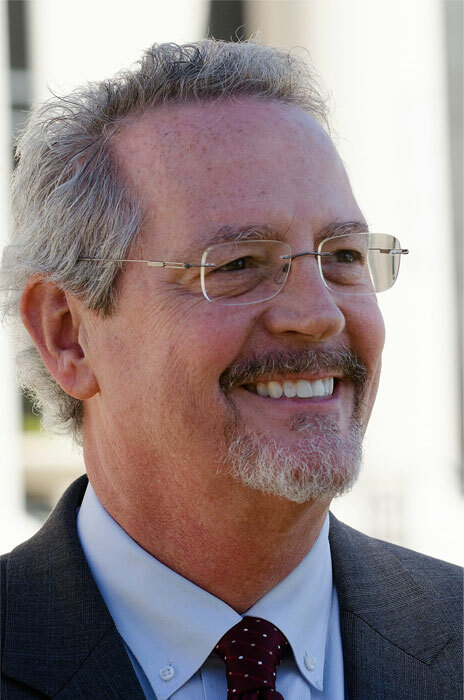 Curtis Hutchens is a Florida AV Martindale Hubbell attorney with 30 years of experience in handling hundreds of mediations and thousands of insurance appraisals. He is a Chartered Property and Casualty Underwriters, past president of the Windstorm Insurance Network, (2016) and a member of the National Academy of Distinguished Neutrals. For the past five years Curtis has handled mediations, arbitrations and insurance appraisals as the founder of CH Mediations and its principle ADR specialist. If you and we fail to agree on the amount of loss, either may demand an appraisal of the loss. In this event, each party will choose a competent and impartial appraiser within 20 days after receiving a written request from the other. The two appraisers will choose an umpire. If they cannot agree upon an umpire within 15 days, you or we may request that the choice be made by a judge of a court of record in the state where the “residence premises” is located. The appraisers will separately set the amount of loss. If the appraisers submit a written report of an agreement to us, the amount agreed upon will be the amount of loss. If they fail to agree, they will submit their differences to the umpire. A decision agreed to by any two will set the amount of loss. 2. Bear the other expenses of the appraisal and umpire equally. This provision has appeared in first party property insurance policies for more than 100 years and similar language is included in the National Flood Insurance Policy, the New York 165 lines policy and the polices of most private first party homeowners and commercial policies. The essential point for mediators entering into the umpire market is that the appraisers, retained by the parties, first agree to name an umpire before each appraiser prepares their individual statement of the loss, usually referred to as “the estimate”. Simply because the mediator is named by the appraisers, does not mean that the services of the umpire will be needed; only if the appraisers cannot agree to the amount of damages will the umpire go to work. Some umpires require a retention fee when first named as the umpire. Other umpires do not request an initial retention fee and only charge for actual services rendered. Requesting a modest retention fee payable upon assignment is only recommended if the mediator’s schedule is full and if credit is given against the final bill. In the appraisal provision above, it is not required that the umpire have any special qualifications or skills. However, as a practical matter, the umpire should have command of the various industry estimating software programs . Mastery of one or more of these programs and the purchase of a licenses needed to access an estimating program can represent a significant expense for a mediator and act as an entry barrier into the umpire service market. An umpire without access to the estimating software program used by the appraisers, may separately hire an estimator to value the loss. The umpire can then build this cost into the umpire fee structure or add it as a cost item onto the final bill. While an umpire may be able to avoid the cost of a software license, there is no substitute for the knowledge and skill necessary to conduct a line by line review of the estimate so as to make independent decisions about whether the damage was caused by the insured event and what needs to be replaced or repaired. Note that the appraisal provision only requires the appraisers to prepare a written estimate not the umpire. However, and again as a practical matter, the umpire is expected to support the final award of damage with documentation usually in the form of the umpire’s estimate. As a business matter, the umpire needs a clear understanding who the clients are. The appraisers generally select the umpire. The insurance carrier will likely approve or disapprove of the umpire recommendation of its own appraiser. The insured also must approve the appraiser recommended by its appraiser. As such, the umpire’s marketing efforts are mainly focused on appraisers with a vibrant practice, either for carriers or insureds. Ultimately, the umpire fee bill is paid equally by the insured and the insured’s insurance company. Lawyers may or may not be involved in the appraisal process so a mediator may also consider reaching out to their attorney mediation clients for referrals. Acting as an umpire is more physically demanding that services mediator. If the insured roof is at issue, the appraisers, as well as their party clients, expect the umpire to get up on the roof and look around. In most cases, the umpire will schedule a visit to the site of the loss with the two appraisers. During the inspection, the appraisers will point out various aspects to the loss to the umpire. The site inspection also allows the umpire to compare the competing appraiser estimates with the actual damages. If the insured has already made repairs, then the site visit is more problematic but still expected. At the site, the umpire can photograph the damages, take measurements and prepare a separate estimate. Armed with knowledge based on the facts at the loss site, the umpire then considers the appraiser estimates and final damage amount at his or her leisure. But the umpire cannot make an independent final decision. The umpire must get at least one of the appraisers to agree with the umpire’s decision. If possible, both appraisers and the umpire should sign the award, but only two signatures are necessary. There are hundreds of issues, too numerous to mention here, that may arise during the appraisal process. There are also hundreds of appellate opinions that deal with appraisal issues. A good umpire will stay current with the most recent appraisal appellate opinions. By following the steps discussed above, the umpire will avoid post award litigation and challenges to the award. As umpire, you should strive to avoid both legal and ethical challenges. And finally, there are many ethical issues that can challenge umpires and appraisers. An umpire is well served by reviewing and strictly adhering to the Ethical Rules for Umpires in Insurance Appraisals. © (Windstorm Insurance Network).